Nuthatches and wall creepers consist of three groups: typical nuthatches, sittellas, and wall creepers. 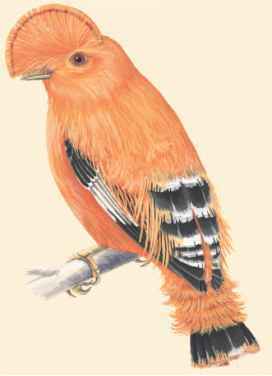 They are small and stocky, large-headed, short-tailed perching birds. Nuthatches are 3.5 to 7.5 inches (8.5 to 19.0 centimeters) long. They have a compact body, large head, short neck, and a thin, chisel-shaped, slightly upturned bill. Their long, pointed wings have ten primary feathers each, they have a short, squared tail, short legs and strong, long toes that have sharp claws. Nuthatches have blue-gray upperparts (blue in some tropical species) and white, pale gray, or reddish brown underparts. The crown on the top of the head is dark and there is a white stripe over the eye. Sittellas are 4.3 to 4.8 inches (11 to 12 centimeters) long. They have a compact body, large head, thin, chisel-shaped bill and a short tail. They also have a brown-streaked or black body with a red face. Wall creepers are about 6.5 inches (16 centimeters) long. They have a compact body and strong, slightly down-turned bill, a rather long claw on its hind toe and a short tail. Sittellas have brownish upperparts, white underparts (with brown streaks), a white throat, and a brownish yellow patch around the eyes. Nuthatches and wall creepers are distributed throughout North America, Eurasia, Africa, Southeast Asia, and Australasia (region consisting of Australia, New Zealand, New Guinea, and the neighboring islands of the South Pacific).